These cupcakes are yummy and super simple to make. Very few ingredients needed when you are craving cupcakes and are in a bit of a rush to make them. It is amazing how many times you have to come up with something quickly for a school event or a party. Just be cautious if creating these for a school event and see if anyone has nut allergies. “Listen up, friends: these cupcakes have only three ingredients in them. THREE INGREDIENTS! 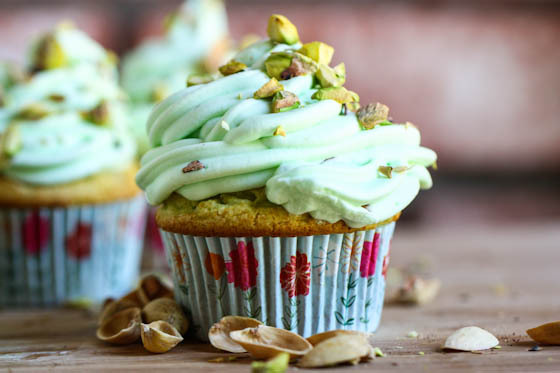 If you’re a lifelong pistachio ice cream lover like myself, you will fully appreciate these soft, springy pistachio cupcakes topped with a whipped pudding frosting. I hope no one here has a problem with Jello. It served us all well with the chocolate pudding dump cake last year, that’s for sure. Let us never be too good for Jello Instant Pudding! 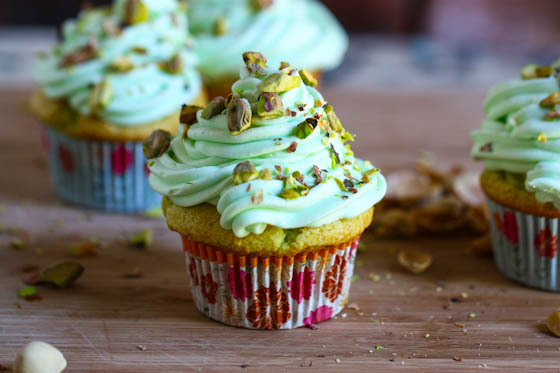 Since the frosting for these bad boys is simply a combination of pistachio pudding and whipped cream, it’s best you consume them right away (or the day of at least). They don’t keep well. But somehow I don’t think that will be a problem. Whisk together the instant pudding and the cold milk. Sprinkle in the cake mix and mix well with a spoon until well combined. Fill a lined (or greased) cupcake tin about 3/4 of the way full with batter. You should get about 12-13 cupcakes out of this! Bake for 25 minutes. Let cool completely before frosting. To make the frosting, whip the cream with powdered sugar until soft peaks form. Whisk together the other package of instant pudding with the milk. Fold pudding into whipped cream and pipe onto cupcakes. 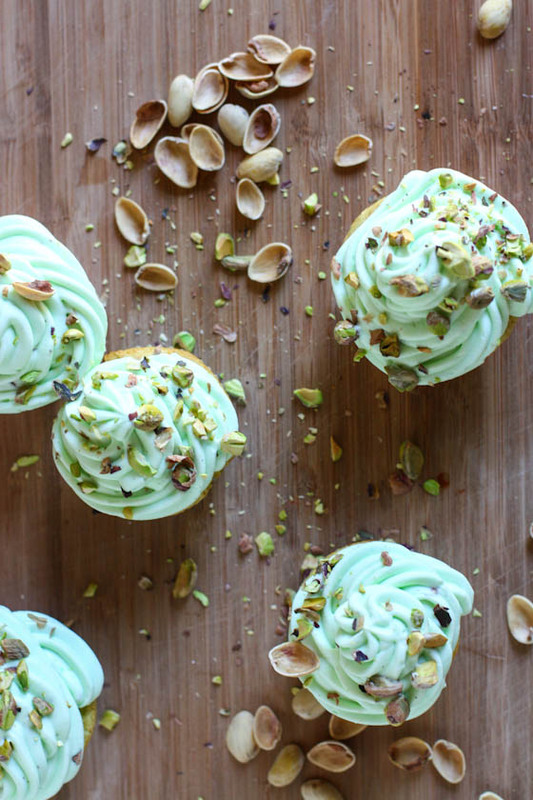 Garnish with chopped pistachios.